A hospital spokesperson who was in a meeting at the time described the explosion as a "tremendous blast" and that "it felt like a bomb exploded." 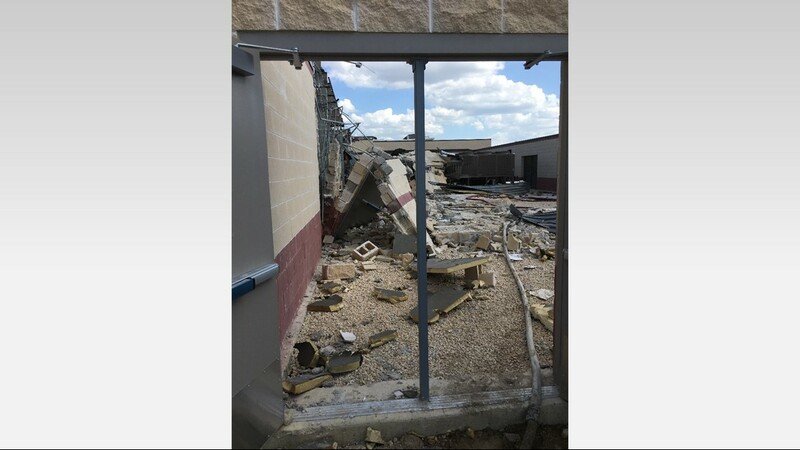 GATESVILLE, Texas - Authorities said Tuesday morning the number of injured in the explosion at a construction site near Coryell County Memorial Hospital increased from 12 to 15. The number of people killed remained at one. 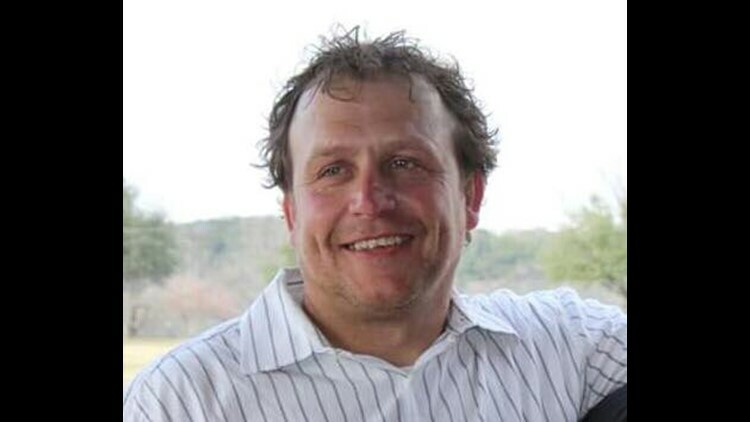 Authorities identified the person killed as Michael Bruggman, 44, of Rogers. Bruggman's sister sent Channel 6 a statement, saying "He was a loving brother, son and uncle. We are struggling very hard." They said the State Fire Marshal's office would lead the investigation into how the explosion happened. Structural engineers were also on site to assess the damage and determine when patients could return to the hospital. The Railroad Commission of Texas did confirm Wednesday the blast was related to a gas leak. A call center was set up for families of victims. The number is 254-404-2500. A spokesperson for New Life Tabernacle Church in Marlin told Channel 6 Wednesday their pastor, Aaron Haveron, was among the injured. Officials said the explosion happened around 2:30 p.m. in a new construction area behind the hospital and that the victims were construction workers. Robert Harrell, Coryell County Emergency Managment Coordinator said people were burned. "There were some serious injuries," Harrell said. 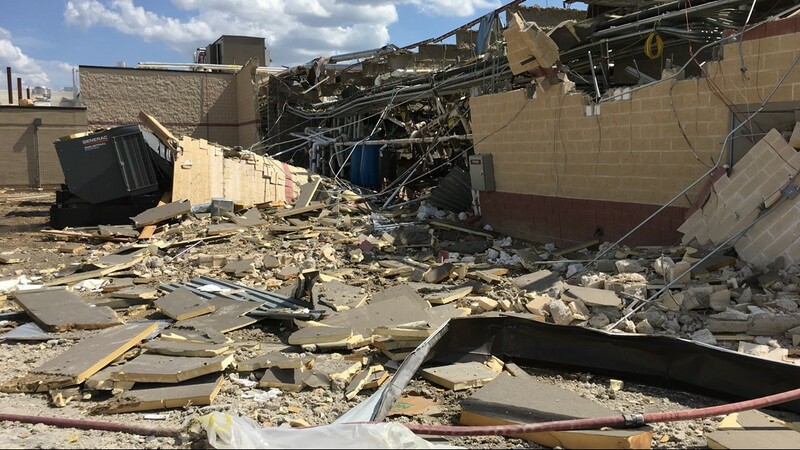 The injured workers were transported to area hospitals, including Baylor Scott and White Hospital in Temple and Hillcrest in Waco. 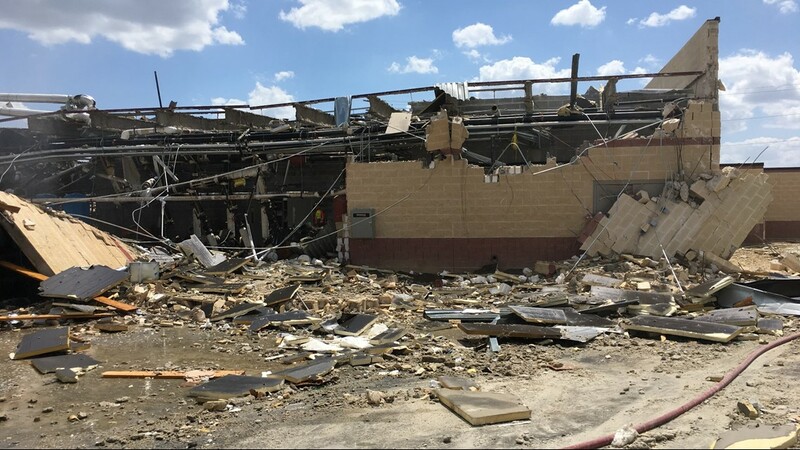 A Baylor Scott and White spokesperson said Temple received nine patients with injuries and they anticipate the majority of the patients will be transferred to facilities in Austin and San Antonio for further treatment. Baylor Scott & White Medical Center - Hillcrest received four patients, the spokesperson said. Several burn victims were also sent to Parkland Hospital in Dallas. According to Travis County STAR Flight, four critically injured patients at Baylor Scott & White Temple were transported to Dell Seton at the University of Texas. Officials believe the explosion is a construction accident inside an expansion project at the hospital and no foul play is suspected. 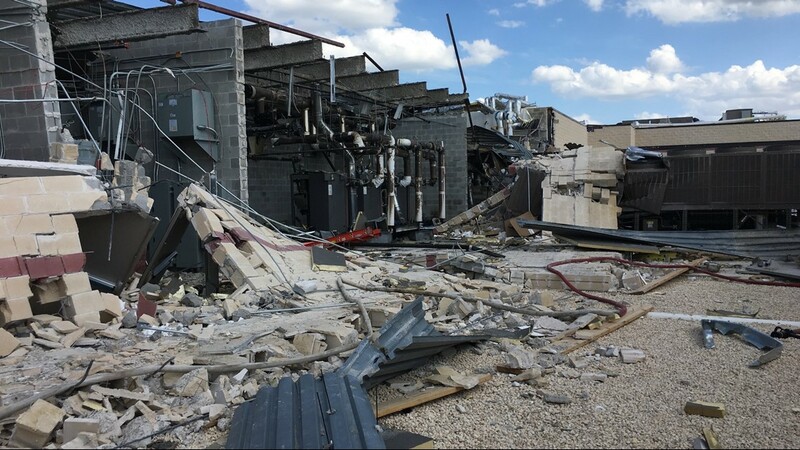 "I do understand that it was possibly a gas line, possibly some activity in that which caused quite a blast," David Byrom, Coryell Memorial Health System CEO said. He also said none of the hospital staff or patients were injured by the blast. Coryell Memorial Healthcare System provides a range of health services including a 25-bed licensed hospital, Level IV Trauma Center emergency room, more than 30 primary and specialty care providers, an advanced wound care center, outpatient rehabilitation center, skilled nursing facility with long-term care and inpatient rehabilitation, assisted living and independent living apartments. Part of the hospital and most of the city's power went out but has been restored. Patients in a nearby nursing home were evacuated to nearby churches and medical facilities due to the outage. Critical care patients were moved to other facilities. Patients at the Memory Care Unit, Long-Term Care, Assisted Living Center, and Independent Living Apartments were sent to Westview Manor in McGregor, Hillside Medical Lodge, and Sunset Lutheran Ministries. Coryell Community Church said they will house about 20 dementia patients from The Oaks at Coryell Memorial. Those patients will be moved to other assisted living facilities by the end of the night. Coryell Memorial Hospital will be closed for the rest of the day and it has not been determined when the facility will reopen. Crews from the state fire marshal are investigating while crews from Atmos Energy are checking gas lines into the hospital after what officials call a catastrophic event. Atmos Energy issued a statement Wednesday. First and foremost, our thoughts and prayers are with those affected by the incident at the Coryell Memorial Hospital in Gatesville. As part of our normal operating procedures when Atmos Energy is called to the scene of an incident, we work closely with first responders to keep the area safe. Natural gas has been shut off to the hospital, and we have highly trained personnel on site. While the blast is believed to be an accident, officials said there's no reason to believe otherwise, however, they aren't ruling anything out at this point of the investigation. "Because of what's happening around the country and around the world, nothing can be ruled out yet," Coryell County Judge John Firth said. 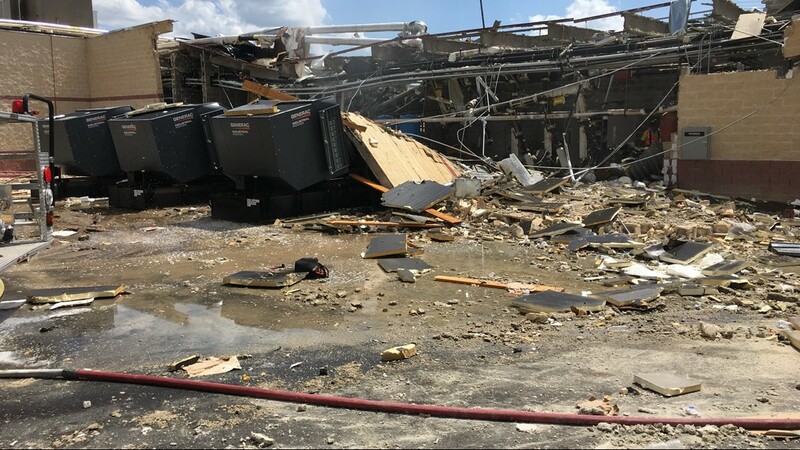 Representatives from the FBI, ATF and Texas State Fire Marshalls Office are assisting the GAtesville Police & Fire Departments investigate the cause of the explosion. Baylor Scott & White Medical Center – Hillcrest: 254-202-2000. Blood donations are also being offered at the hospital until 8 p.m. Baylor said they will continue to accept more donations Wednesday. To schedule your blood donation, click here.